In the first installment of this article we highlighted the south coast and California Channel Islands offshore and helped make some sense of the somewhat confusing “alphabet soup” of protected areas within our state’s parks, reserves and conservation areas. Here we’ll overview underwater parks along the central and north coasts and will take a look at marine sanctuaries under Federal management. The vast majority of Central Coast diving takes place off the Monterey Peninsula and areas immediately to the south in Carmel Bay. And nearly all of those coastal areas belong to one of several MPAs. Basically, if you dive Monterey, odds are you will be diving within an MPA. None of these MPAs allow the taking of invertebrates. Tucked under the Monterey Peninsula is Carmel Bay and on the southern end of that bay is beautiful Point Lobos State Natural Reserve. Established in 1933, this is one of the first parks in the State Park system. It is here you will find probably the most significant MPA in the Monterey area, the Point Lobos State Marine Reserve. In 1960, 750 underwater acres were added, making it one of the oldest underwater parks in California. Nothing may be taken or disturbed. The area allowed for diving is clearly indicated in maps and in addition to the rigidly enforced no-take policy, diver and boat access to the area is strictly controlled and regulated. 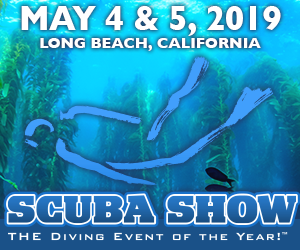 An online reservation for your dive team is a must for weekends as the number of divers entering the water here is controlled and usage fees are assessed per dive team, per vehicle, and per hand-launched craft (inflatable boat, SUP, or kayak). Diving is restricted to Whalers Cove (location of the parking lot and boat ramp) and Bluefish Cove. All divers must enter and exit at the boat ramp. While there is good diving in Whalers Cove the best diving is around the corner to the west at Bluefish Cove. From the boat ramp this is a long, sometimes challenging swim. Most divers prefer to dive it from a small inflatable boat or kayak launched at the ramp or off a boat running out of Monterey Bay (dive charter boats sometimes run south to the location). Underwater highlights here include Bluefish Wall and the Great Pinnacle with their eye-popping kaleidoscope of marine life colors. With this area being protected for nearly 70 years the reef fish here have become remarkably abundant, large, and easy to approach. Keep your eyes peeled for big Victor the male sheephead. Some experienced divers say this is the largest sheephead in all California waters. Additional super-sized finned friends here include lingcod, cabezon and vermillion rockfish. Other than the reserve at Point Lobos, Carmel Bay is dominated by two additional MPAs – the Carmel Bay State Marine Conservation Area (SMCA) and the Carmel Pinnacles State Marine Reserve. While the Carmel Bay SMCA does allow the taking of fin fish and several popular beach and boat dive sites are included in this area, most divers have long since abandoned their spear guns as the size and quantity of game fish simply are not enough to entice. It’s enough just to enjoy the beauty of these dive sites. A number of excellent beach and boat dives attract many divers on any given weekend. Unfortunately, however, purple urchins have decimated the kelp forests over the last few years. But kelp is showing signs of recovery. You can find kelp at the dive sites Butterfly House as well as the north and south ends of Monastery Beach. With the status of Reserve, however, the Carmel Pinnacles have complete marine life protection. This offshore site has also shown some limited recovery of its kelp forest. This spectacular location is home to exceptionally large lingcod, rockfish and cabezon. Blizzards of black rockfish cruise over the reefs that are adorned with the colors of multiple species of nudibranchs. Clumps of corynactis anemones and large fish-eating anemones are here and there. And being an offshore site, water clarity is usually quite good. 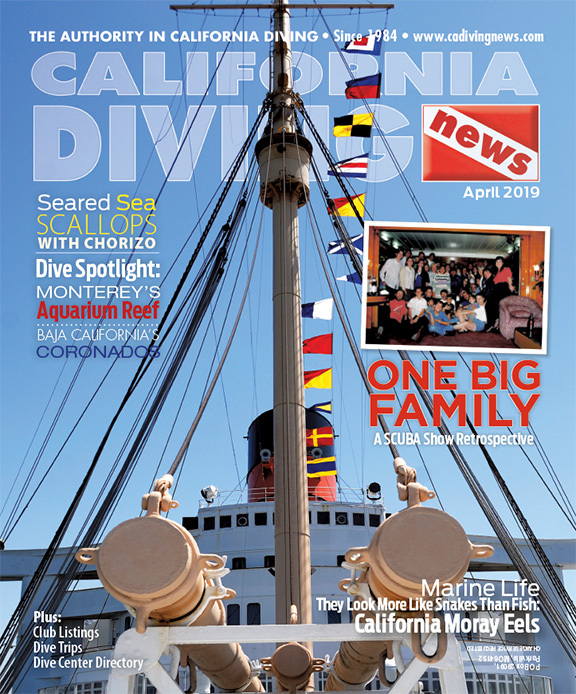 Southern Monterey Bay, along the Monterey Peninsula, has long been a favorite dive area both from the shore and boat. And from as early as 1931, at least a portion of this area has been protected. The Hopkins Marine Station, an adjunct to Stanford University, is located ashore at Point Cabrillo. This is the second oldest Reserve along the California coastline. Eventually the Hopkins Marine Reserve was folded into the Lovers Point-Julia Platt State Marine Reserve, which covers a much larger area now reaching from Lovers Point to the west and Aquarium to the East. This is a full reserve and as such nothing can be taken or disturbed. Included in the area are portions of the popular beach and offshore dive site of Lovers Point. Further to the east is the Edward F. Ricketts State Marine Conservation Area. It is of great interest to divers as it encompasses such popular dive sites like the Breakwater, San Carlos Beach and McAbee Beach. Divers can take nothing, but hook-and-line fishermen for finfish can pursue their pastime. Commercial kelp harvesters also can ply their trade. This leaves a lot of divers that are in favor of conservation scratching their heads as to why other users get a pass. It can be difficult to tell the boundaries between each MPA and where they begin and end at offshore dive sites. It’s confusing and frankly a little aggravating, so we find it best to be conservation minded. Keep it simple and take nothing even though it is allowed in some sections. With the collapse and closure of the abalone fishery off the north coast diving activity and interest has waned considerably. This is unfortunate because of the superb diving and spearfishing opportunities. For those that do decide they wish to pursue spearfishing along the north coast it is important to be aware there are MPA regulations that would effect them. As always, consult California Fish and Wildlife spearfishing regulations and MPAs and their particular restrictions. 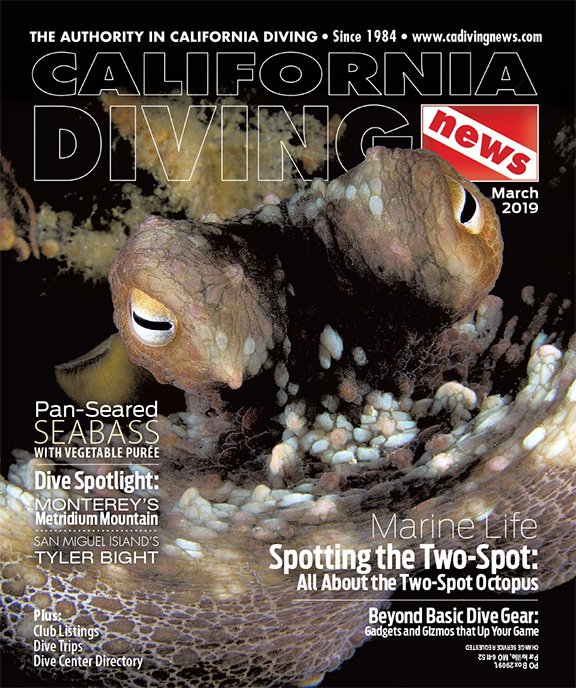 For the non-hunting diver that wants to take in good sampler of what north coast diving has to offer many recommend Gerstle Cove State Marine Reserve (established 1971). The reserve is fairly easy to visualize with posts onshore on either side of the cove marking the reserve boundaries. Marine life in the cove reserve is big, abundant and diverse. 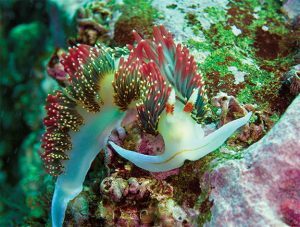 Colorful invertebrates that include nudibranchs, and red, rose, and giant green anemones. Hopefully you will see a red abalone or two. Keep your eyes peeled for cabezon and lingcod that are easy to approach. And colorful rockfish cruise the reefs. Gerstle Cove is part of the larger Salt Point State Park (Salt Point Marine Conservation Area). The Federal Marine Sanctuary system covers 600,000 square miles, from the Hawaiian Islands to waters around the coral reefs off the southern tip of Florida and from chilly waters off the States of Washington and Maine. The National Oceanic and Atmospheric Administration (NOAA) administers it all. California has four exceptionally large National Marine Sanctuaries. The Monterey Bay National Marine Sanctuary is the second largest under US control and the largest off the mainland coast. Also included in the four is the Cordell Bank National Marine Sanctuary off northern California, as well as the Greater Farallones National Marine Sanctuary, which includes the distant Farallones Islands also off Northern California. And finally includes the Channel Islands National Marine Sanctuary. This sanctuary encompasses five of the eight Channel Islands that make up the Channel Islands National Park. 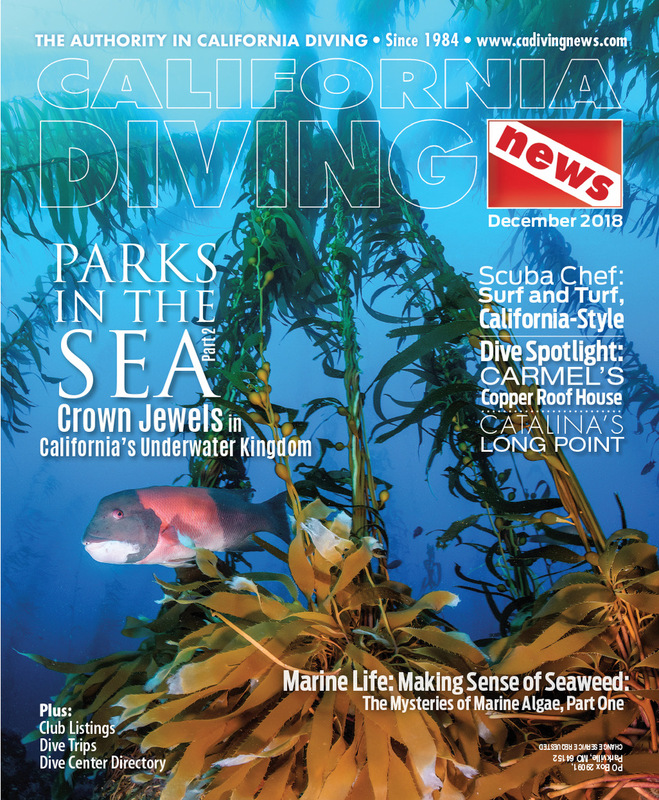 Of most interest to California divers would be the Channel Islands and Monterey Bay Sanctuaries. Each of these two Sanctuaries carry similar restrictions and regulations having to do with dumping, exploitation of mineral resources, prohibitions against harassing and capture of marine mammals, birds, and turtles, and other exploits and possible damage to the waters in question. Many of the specific regulations are each controlled by cooperation of a variety of Federal and State agencies. NOAA participates a great deal in the research and monitoring of each sanctuary. The general idea is to keep each sanctuary preserved in such a way as to have it be a protected area for natural resources and at the same time provide sustainable use. Only time will tell if all these areas — north, south, island, MPA or Sanctuary status — will hold back the tide of human exploitation and damage and begin to help the ocean heal itself. As seen in protecting at least some species, protection works. Witness the staggering success of the giant black sea bass comeback, nearly extinct three decades ago. While the red abalone suffer along the North Coast, in the south around San Miguel Island they have come back in numbers that have not been seen in 50 years. And reserves, especially those that have been long established, are flourishing with unprecedented abundance and size and variety of its animals. This gives reason for hope. Some say the restrictions are too heavy, others not enough. Other restrictions seem odd and confusing. Poaching is definitely a problem, largely due to inadequate patrols in many of the areas. Even so it seems things are moving in the right direction. Please keep in mind that regulations governing each reserve, park and MPA are subject to change. Always check California Fish and Wildlife regulations by visiting wildlife.ca.gov before hunting, and make sure you have a valid license. To learn more about Monterey dive sites, pick up a copy of A Diver’s Guide to Monterey County, 2nd Edition by Bruce Watkins.